long battery life and great vapor production. However, Volcano’s Lavatube e-cigarette costs just a bit more. Unlike the Silver Bullet, it allows you to adjust the voltage to any level between 3.0 and 6.0 volts for best performance with the atomizer or cartomizer of your choice. Because the Lavatube has a significantly higher power level, the Silver Bullet can’t compete with it in terms of vapor production. 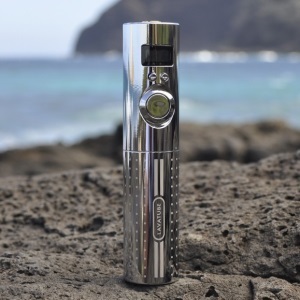 While I believe that the Lavatube is the superior product in terms of performance for cost, the Silver Bullet is certainly worth considering if you’re sure you’ll never need to change the voltage. If you’re considering the Lavatube vs. the Silver Bullet, I hope this chart will make the decision easier. 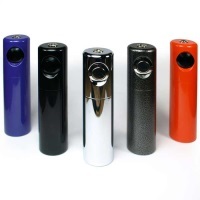 Included in Kit Lavatube e-cig, battery, charger, Tube Tank, carrying case. Silver Bullet body only. Battery 18650 high-drain 1600 mAh battery. 18650 2400mAh battery. Voltage Adjusts from 3.0 to 6.0 volts in 0.1-volt increments. 3.7 volts only. Vapor Production Maximum power of 12 watts with 3.0 ohm atomizer at 6 volts. Maximum power of 9.12 watts with 1.5 ohm atomizer. Attachment Support Supports atomizers or cartomizers with 510 or 306 threading. Supports atomizers or cartomizers with 510 or 306 threading. Controls Fire button, two voltage adjustment buttons. Fire button only. Colors Black, silver, gold, pink, chrome, red and blue. Several colors available.